First, I must announce there will be NO CHANGE IN SUBSCRIPTION PRICES in the near future. 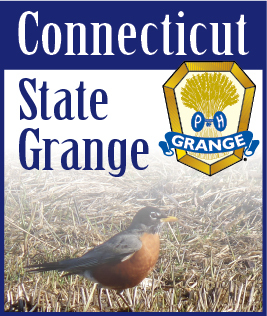 There was a great deal of discussion about the future of the Connecticut Granger at the recent State Session due, in part, to a resolution calling for a $10 subscription price. All of us at the Granger were under the impression we were coming very close to going beyond interest income to cover the increased cost of producing and mailing the paper. As a result, a change was adopted by the board of the Granger calling for $5.00 for non-100% Granges and $4.00 for 100% Granges. After State Session, State Treasurer Phil Bergquist examined the investment accounts of the Connecticut Granger Trust Fund and found that while our interest income is down more than $10,000 this year and our expenses are up slightly, we are not in danger of using principal to cover our expenses. Part of the problem is State Grange financial statements that are confusing and misleading. The day to day finances of the Connecticut Granger are handled by Granger Secretary/Treasurer Edith Schoell. The Trust Fund accounts are handled by the State Grange and Treasurer Phil Bergquist. I have asked Brother Phil to prepare a consolidated financial statement at the close of the current fiscal year. It is hoped that a statement containing the day to day and trust fund finances will present a clearer picture and keep us better informed. Our primary goal is, and has always been, to have the Connecticut Granger reach as many Grange homes as possible at the lowest possible price. We were very concerned about any price increase as it would strain Granges even further at a time when National Grange dues are on the climb again. We will continue to closely monitor the trust fund income and will re-examine the need for price adjustments at the end of the subscription year.